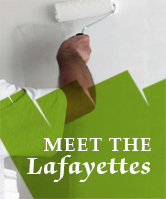 Last year, Lafayette Painting painted over 600 rooms and completed another 50 decks and exterior house painting jobs. Meet the Lafayettes. Though he may not have known it at the time, Paul Lafayette started his painting business at age 13, when he and his brothers took on their first house painting job for a paper route customer. In 1977, after Paul graduated from Rice Memorial High School, Lafayette Painting "officially" went into business. Within three years, Paul's painting company had grown from a bucket and two paintbrushes to a full-time crew of five. Today, Lafayette Painting employs four full-time painters, plus Paul's son Dan, who is the office manager, and five more experienced seasonal painters during the summer. Paul Lafayette takes a great deal of pride in improving homes and businesses in the Burlington neighborhoods he grew up in, and in other communities throughout Chittenden County. 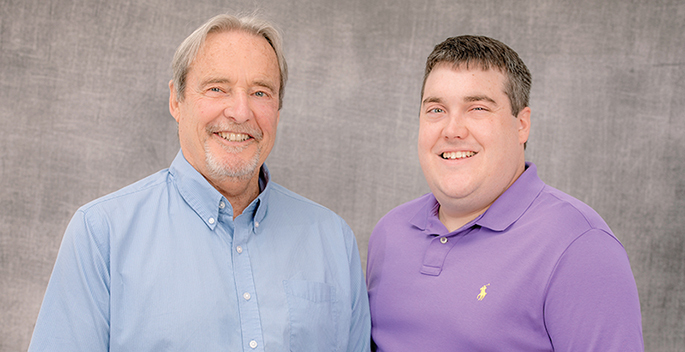 Paul’s son Dan is the project and office manager for Lafayette Painting and has been with the company since 2005. Dan graduated from Rice Memorial High School and from Tulane University, with a concentration in communications and film studies. He lives in Burlington with his wife.